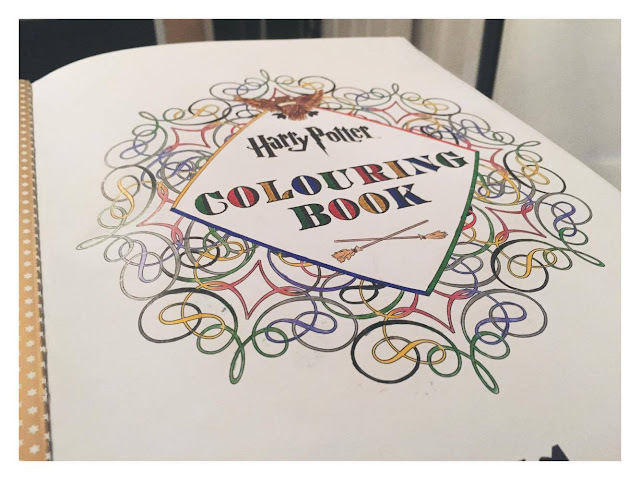 A couple of days ago I went out and bought the Harry Potter Colouring Book, I love colouring and so I thought having a colouring book on one of my favourite series of all times was a must. I honestly don't know why it's taken me ages to get this book because I'm really impressed with it. 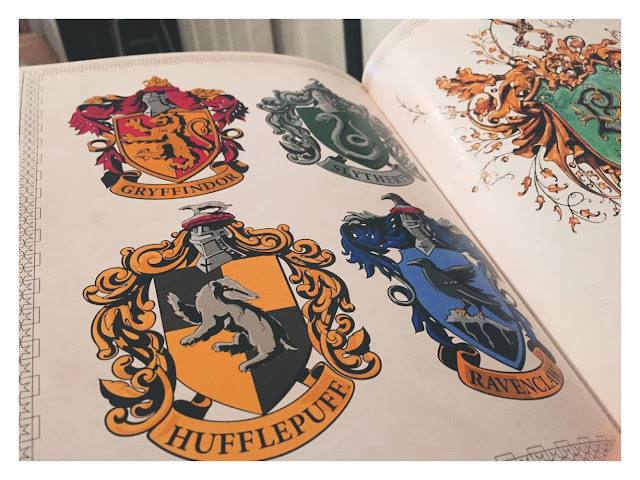 There are some amazing pictures that are stills from the films and then there are some great patterns incorporating items and themes from Harry Potter. I haven't coloured in many pictures yet but I have done a few. 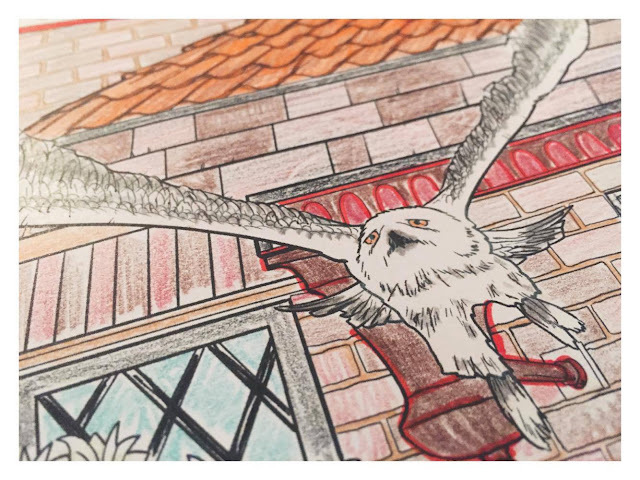 The best time I find great to colour is in the evening as it helps me calm down from a tiring day and I also love colouring whilst watching TV and my favourite youtubers uploads. Credit to my friend Ellie who coloured in this picture. Overall I really like this colouring book especially because it's Harry Potter so I enjoy colouring in the pages as I can relate to the pictures so well. They're also bringing out a magical creatures colouring book too which I know I'll be buying when it comes out! 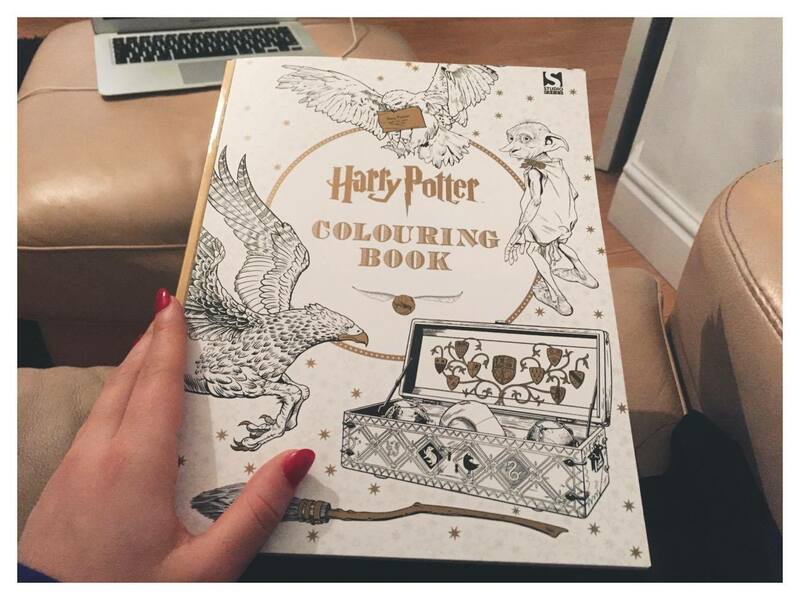 Have you got this colouring book? Do you like it? Today I thought I would take part in the 'My Reading Style Tag' as I thought it would be a great idea to show you what my reading style is! I found this tag on a few bloggers websites as well as online so all credit goes to those who have done this tag before me. I know I wasn't actually tagged to do this post but I really liked the questions so I thought I'd be sneaky and go ahead and write a post! Every now and then I will snack whilst I'm reading. Some of my favourite snacks are homemade goodies such as cookie, shortbread and peanut butter bites (similar to Reece's Peanut Butter Cups). I also like to snack on fruit and vegetables like raspberries, strawberries, melon and I also love carrots and humous. I also enjoy a good warm drink (coffee to be exact). 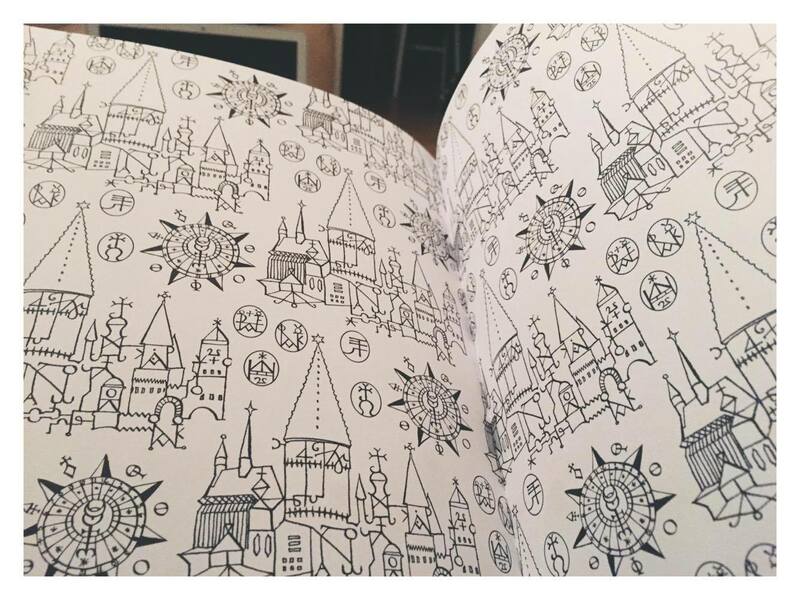 Do you tend to mark your books as you read, or does the idea of writing in your books horrify you? I dont tend to mark my books as I'm quite rubbish when it really comes to analysing my books. What I do tend to do is add sticky notes to my books if there is something I really enjoyed within the book or if I really loved a quite within the book too. I also don't like the idea of writing in my books as I'm worried I will ruin them! Both, although overall I do read more fiction over non-fiction. Recently I have been reading a lot of fictional books but soon I would love to read a non-fictional book, maybe a bibliography of someones that I like or something on true events like 'Anne Franks Diary'. I have a kindle and I do like it as it's incredible handy when it comes to travelling and so on, there also is many books I can only get on kindle so that's another reason to why I like having my kindle BUT I definitely prefer hard copies (paperbacks are my favourite). I love the feel of holding a book and smell also. Watching the pages build up as I get further into the book also pleases me. Are you the person who tends to read to the end of chapters, or are you able to put a book down at any point? I try to read to the end of a chapter when I'm reading a book before I put it down, unless I have to put the book down, for instance, if I'm reading before a class and then my teacher starts the lesson, there is no way that I can try and continue till the end of the chapter. Although when I'm reading a book at home then I will finish the reading at the end of a chapter. 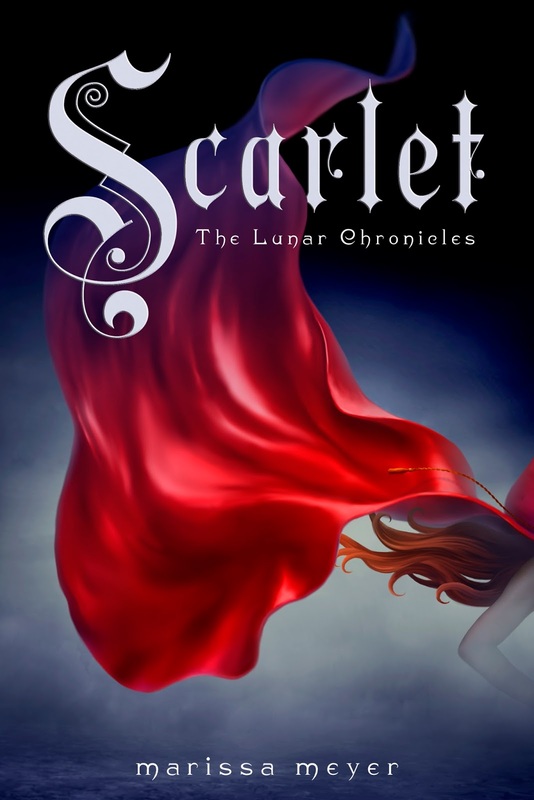 I'm currently reading 'Scarlet' by Marissa Meyer. 'Scarlet' is the second book to the Lunar Chronicles and I'm absolutely in love with this series at the moment. I've only just started reading 'Scarlet' so I haven't got too much to say about it at the moment but I have high hopes for this book. As I just said in the last question, I love the Lunar Chronicles and I have such high hopes for this series that I have just bought 'Cress' by Marissa Meyer the third book in the Lunar Chronicles. I also bought it so that when I finish 'Scarlet' I can jump straight in to the next books as I think I'm going to marathon the rest of this series! I have tried to read two books at a time and I really struggle doing that, I get confused and I commit myself to one book and end up discarding the other. Although if I'm reading a lengthy book or a book I'm not 100% enjoying then I may pick up a little novella or now a small graphic novel so prevent myself from getting in to a reading slump. Do you have a favourite time of day/or place to read? I can read pretty much at any point during the day, although I think I prefer to read in the evening as that's my down time and reading definitely relaxes me. I also love reading in bed but sitting up write as I struggle holding the book otherwise if I'm reading on my side but yes, my bed/bedroom is my favourite place to read as it's my own personal place. 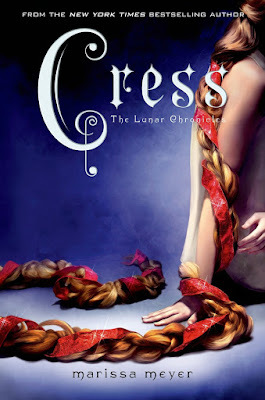 I know I'm only on the second book but Marissa Meyer is definitely a favourite of mine and I have been recommending her quite a lot recently. I also love Sarah J. Mass and J. K. Rowling (Harry Potter to be exact!). I hope you enjoyed this post and you have learnt a little more about me. I do enjoy writing these posts as I love reading and watching them! Comment down below what your reading style is and also let me know what other posts you would like to see on my blog! Recently I have been watching quite a few book vloggers videos (as I do every week) but this week, I have seen quite a few of them post videos named '16 books I want to read in 2016' and I've really been enjoying these videos as it's interesting to see what books other people are anticipating to read. So I thought it would be a great idea to write a post on the same subject as I have a plan to revisit this post at the end of the year to see whether I read all of the books I said I wanted to read this year. So here are the books I really want to read during this year! So these are all the books I want to read this year (all but one are books that I haven't read before, Chasing Daisy will be re-read for me) and I hope I can at least try read all of them! I also have a few series I want to finish and continue this year as well and those are Harry Potter, Dorothy Must Die, and Throne of Glass. I also have many series I want to start this year such as the Lux Series and The Lunar Chronicles (which I've actually already started it). Have you read any of the books that I have listed above? If so, please let me know what you thought of them, I'll reply to your comments below. I can't wait to revisit this post to see whether I did manage to read these books in 2016. I don't think there is a time where I don't want to buy a book.. There is always one or two books I want to buy on a day to day basis (which isn't so good for my bank balance). Recently I have allowed myself to buy a few books, with the excuse that I had some Christmas money - good enough excuse right? Although I gave myself this allowance of buying a few books, I also have a problem where if I walk in to a bookstore it's incredible hard for me not to walk out without a book, has anyone else got this problem?? On this occasion I did buy a few books, three from Waterstones (a book store in the UK) and one online! I'm really excited to have all of these books as all of them are from series that I have other started or anticipating to read. 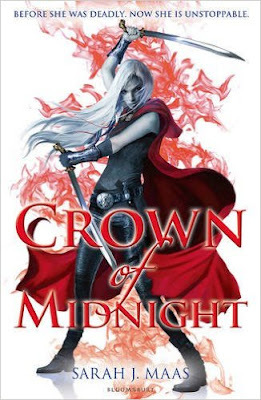 I'm currently reading 'Crown of Midnight' by Sarah J. Maas and I'm really enjoying it so far (even though I really haven't had much time to read at all which is starting to really frustrate me!) but as I'm enjoying the second book so much and I've heard so many great reviews from the other books, I thought I would treat myself by buying the rest of the books within the series (except for the prequel book, I'm sure I'll pick it up later this year!). I also bought 'Snow Like Ashes' by Sara Raasch, again I have heard so many great reviews about this book so I'm really looking forward to pick this one up and start reading it. Finally I purchased 'Scarlet' by Marissa Meyer. I absolutely LOVED 'Cinder' so I just had to grab the second book and I honestly can't WAIT to read this book and it will probably be picked up pretty soon. Can I also just say how BEAUTIFUL these covers are! In love. So these are all the books that I have bought recently and like I've said, I just can't wait to read these books! I thought I would also let you all know what my plans are for this blog! I believe in my last post I said I was going to try to schedule my posts so that you guys know when I'm uploading every week! I've decided on two days where I will be posting posts and those two days will be Tuesdays and Sundays but every now and then I will be posting on a Wednesday t take part in the 'Top 5 Wednesday' posts (recently the topics that have been chosen are topics I feel like I can't join in with due to being so new to the book community and so on, which is why I haven't posted any T5W posts recently). I also want to incorporate some lifestyle posts within my posts, such as recipe posts and life update posts. I want to do this so that I can make my blog a little more versatile for other readers as well, I also enjoy writing lifestyle posts as well! How are you all? I thought I would bring in a new style of post today as I want to bring more content into my blog. I thought that every now and then it would be nice to let you know what I'm currently reading and giving a little inside to what I think of the book I'm reading so far! It will be a short and sweet post, let me know what you all think! The book I'm currently reading is Crown of Midnight by Sarah J. Maas, the second instalment to the Throne of Glass series! The first book was great and the first book is definitely what got me into reading fantasy novels - I absolutely love them! I really enjoyed the first one and as soon as I finished it I wanted to know what journey Celaena would be going on next and so far I have not been disappointed. Already I'm on the edge of my seat to know what's going on and to see what Celaena is going to do next, it's great, I even bought the rest of the books the other day as I'm certain I'll be enjoying them as much as I am enjoying the first two so far. Annoyingly I haven't been able to pick up this book much due to having so much coursework to get done for college, I'm finding it difficult to stop myself from losing myself within this book but it has to be done because at the end of the day my education has to come first - DARN - I can't wait for summer (already wishing the year away)! What are your thoughts on this book? Have you finished the series? I hope you're having a great week! I'm starting to think of some dates to permanently schedule posts as I think my blog needs a structure! I will let you know the days when I've decided them but HEY, here's another book review! 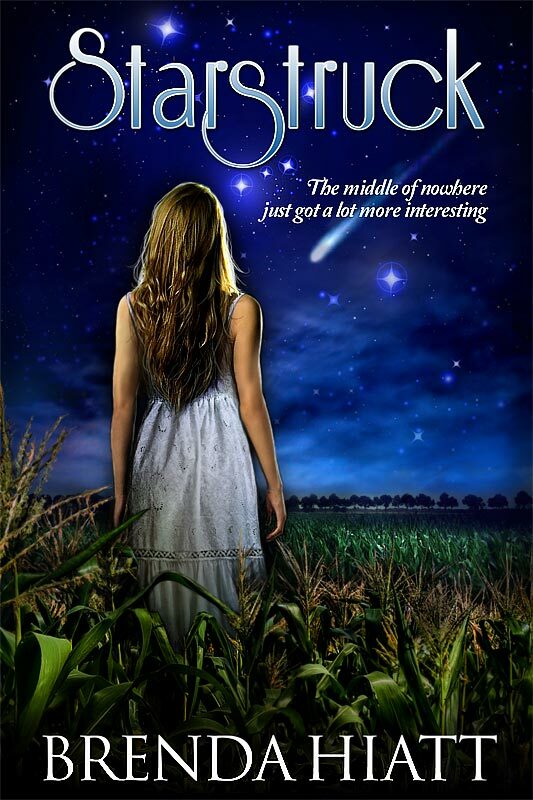 I really enjoyed this book so I thought it deserved a review, I hope you enjoy it. Synopsis// Humans and androids crowd the raucous streets of New Beijing. A deadly plague ravages the population. From space, a ruthless lunar people watch, waiting to make their move. No one knows that Earth's fate hinges on one girl. Cinder, a gifted mechanic, is a cyborg. She's a second-class citizen with a mysterious past, reviled by her stepmother and blamed for her stepsister's illness. But when her life becomes intertwined with the handsome Prince Kai's, sh suddenly finds herself at the centre of an intergalactic struggle, and a forbidden attraction. Caught between duty and freedom, loyalty and betrayal, she must uncover secrets about her past in order to protect her world's future. 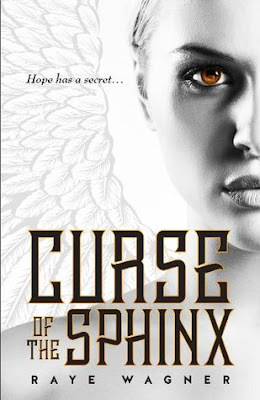 My Review// There is one word for this book and that is that I LOVED THIS BOOK! I couldn't put it down at all, it was just so great in so many ways. I've only read one other retelling story which was 'Dorothy Must Die' by Danielle Paige (another book that I thoroughly enjoyed) so I was really looking forward to read 'Cinder' as I love the ideas of retellings and how other people mold the story. This story is so unique and different that it makes it brilliant and I thought it was such a great take on Cinderella. It had so many different twists. 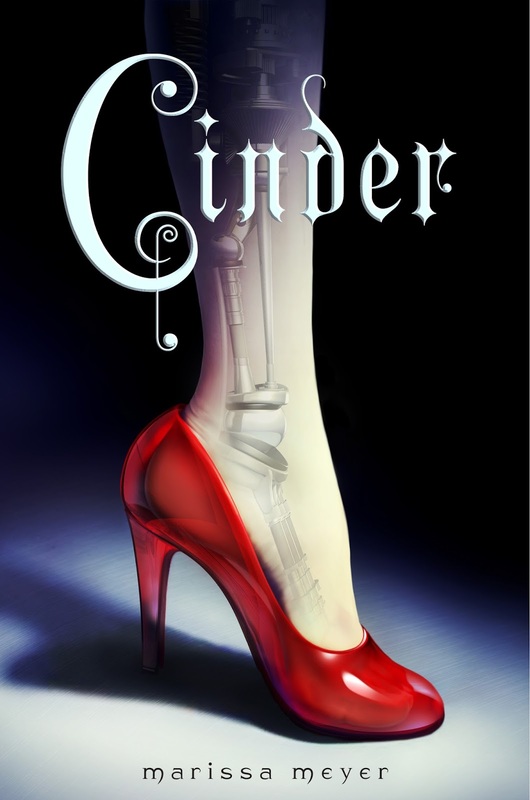 Seeing the main character as a cyborg was awesome, I've never read a book from a cyborgs point of view and it was so eye-opening to read, like I said, a great way to retell the story of Cinderella. I loved Cinder, she was such a strong character through this book and I loved her friendships too with Peony and Iko, which made the book so very emotional at points. Cinder also grew throughout the book, I loved seeing her standing up to her stepmother (on that note, Adri was so horrible to Cinder, I don't know how she lasted not shouting back at her for as long as she did) and doing many independent actions. I also enjoyed other characters such as Kai and Peony as they become such iconic characters within the story and it was interesting to see their storylines to unfold (even if there was some heartbreaks along the way). Other features in this book that was great was the plague that has hit earth and was taken over many countries, it was actually a really scary disease which I know I wouldn't want to catch but Marissa was superb with the way she told the story of the disease and how it's damaged so many families such as Cinders and Prince Kai's. On a final note I just want to say how much I'm loving Marissa Meyers writing, after I read this book I read two of her short stories on wattpad and they were both superb! I think I'm falling in love with Marissa Meyers writing and books! 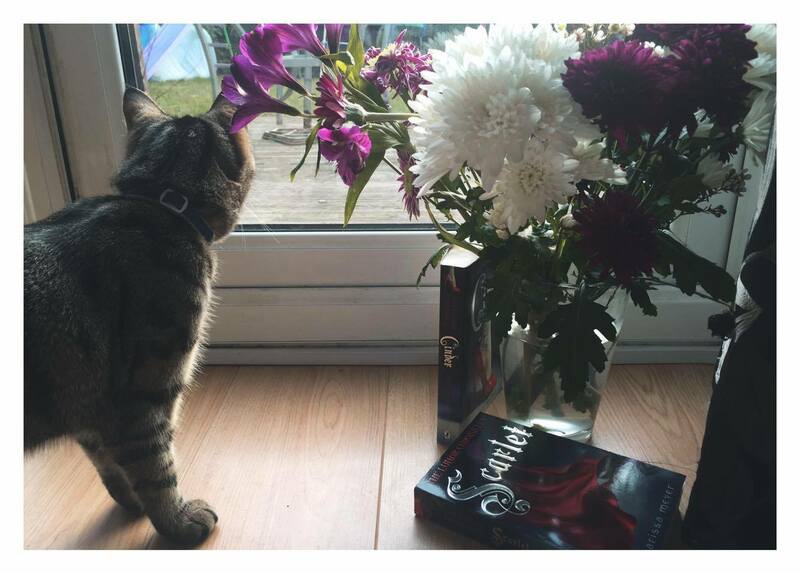 I hope you enjoyed this review :) have you read Cinder?? Let me know in the comments below! Over the last couple of days I have been thinking about many goals that I want to achieve this year as well as some resolutions that I also want to try and achieve throughout the year of 2016. These resolutions and goals are book related as well as lifestyle related so I hope you enjoy reading this post, I can't stop watching/reading everyones goals (whether they're lifestyle or book based) posts/videos so I thought it would be a nice idea to share with you my goals and resolutions. At the end of 2016 I would like to revisit this post and see whether I have achieved any of my goals/resolutions. I thought I would start with my book related resolutions and goals (seeing as this is a book blog). 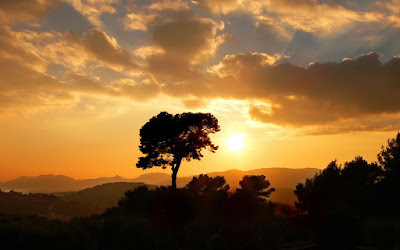 I'm so happy that I have joined the book blogging community and just the book community in general, I made this blog only two months ago and I have already got a lovely audience and I appreciate everyone that takes the time to read and comment on my posts - so THANK YOU WONDERFUL PEOPLE! Anyhow here is my goals and resolutions (book related). Read 30 Books or More During the Year of 2016 // This is my goodreads reading challenge, I only set myself a small amount of books as I'm quite new to reading and my reading pace can be quite slow sometimes so I didn't want to be over ambitious with how many books I could read this year! My main aim is to try and read an average of 4 books a month which is I think is quite achievable for me and if I do follow that aim, I should read approx 48 books! I do hope I can reach my goal of 30 books this year. Work on Reviewing Skills // I want to review more books this year but like I said, I'm still quite new too the book community so my reviewing skills are not the best but I do try my hardest and hopefully over time my reviews will become more in-depth. So hopefully I will be posting some more book reviews on my blog soon! Try and Blog at Least Once or Twice a Week // I really want to try and stick too this goal, I love blogging and I really want to build a great audience and meet other great bloggers but I know I will struggle with that if I'm un-active on my blog! I also just want to keep a good schedule on my blog too! Join the Booktube Community // I really want to build up my courage and finally post a video on youtube. I don't know when I will do this but I really want to try at some point. So keep an eye out for that! So here are my non-book related goals for the year of 2016, I wanted to include these just because I'm enjoying reading and watching other peoples general goals for this year, so I thought it would be fun to share these goals too! Stay Positive // I want to try and stay as positive as I can this year and not get stressed (as it just doesn't help any situation). I just think this is a very important resolutions that I want to try and live by as much as I can. 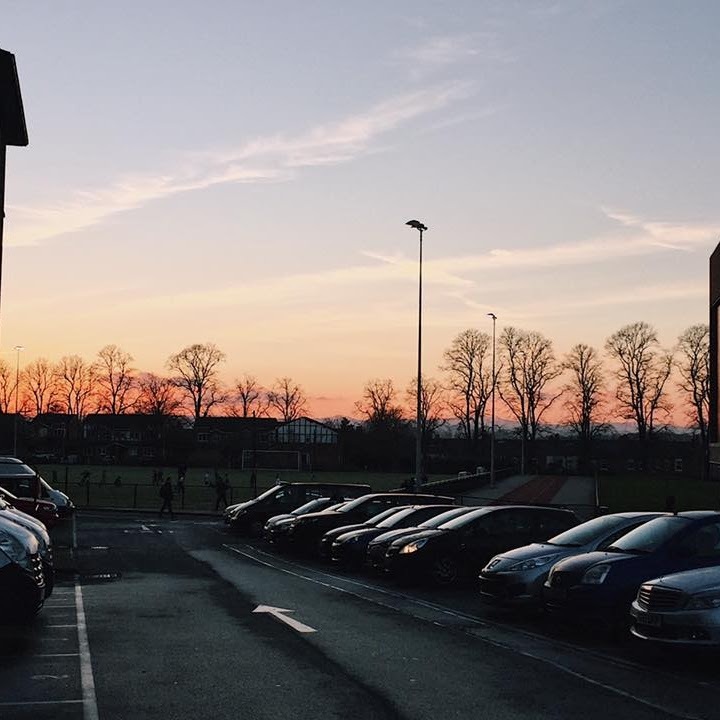 Stay on Track With Coursework // This year is a really important year regarding my education. 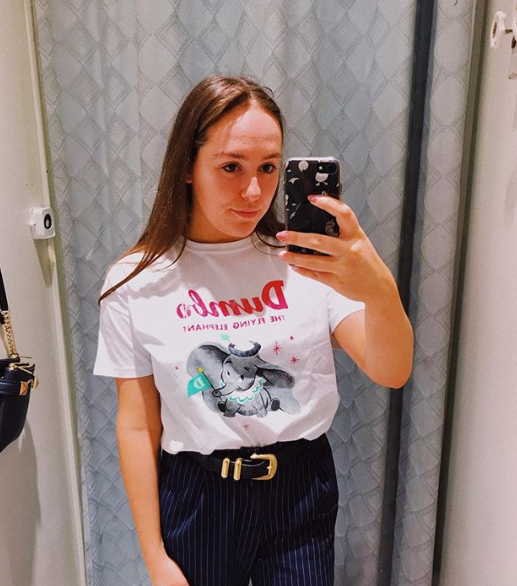 I'm currently studying Animal Management at College and I hope to go to University later this year so I need to really knuckle down this year and get those grades! Eat Healthier and Aim to do at Least SOME Exercise // I know nearly everyone says this but I really want to try and improve my fitness and health, especially for when I go to University as I want to join a sports club but I want to be relatively fit before I do so! So there you have it, all my goals and resolutions for the year of 2016, I do try to achieve all my goals and stick to all of my resolutions but we shall see how the year goes, nether the less I'm excited for what 2016 is going to bring. Have you got any 2016 goals or resolutions?? Firstly I would like to wish you all a very Happy New Year and I hope you all had a great Christmas Holiday! I know my holiday was very much enjoyed, who can believe it's already 2016!? This year has flown by. So much is happening this year (for me anyway), I finish my final year at college and I'll be starting University this coming September - It's CRAZY. This month has been a relatively good month regarding to reading! I've enjoyed all the books I read this month too!! I have linked the books goodreads pages and where you can buy them too! 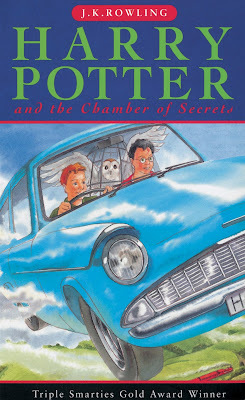 Again, I am so glad I decided to read this series. It's great reliving the story but through a book instead of a film. There so many little details that are missed within the film and I'm loving finding out those little details, they make the story come to life in a way the films didn't! (I still love the films, I'm just having such a great time reading the books as well!). Watching the characters grow is probably my favourite thing about the Harry Potter Series just because the books and the reality of the story is growing up as well as the kids themselves. Ron is definitely still one of my favourite characters yet I'm loving Harry so much at the moment it's great. I really enjoyed reading this book, I've never read a book with an alien theme but the concept really intrigued me, making the book a very enjoyable read. I loved the characters, especially Marsha. She was such a strong and content character throughout the book and I loved how strong she become towards characters like Trina (who was continually horrible to her). Rigel was also an iconic character, the way Brenda portrayed him was superb and I can't wait to read more about him. Overall I loved this story. Another book with a theme that I am not used to reading yet I have fallen in love with this genre too, mythology. I always loved learning about mythology when I was younger and the myth and legend stories always intrigued me. So when Raye Wagner asked me to review her book, I couldn't say no! This book is part of a series (yet the new one is yet to be released), I loved this read as it was such a unique story line, following the life of a monster! 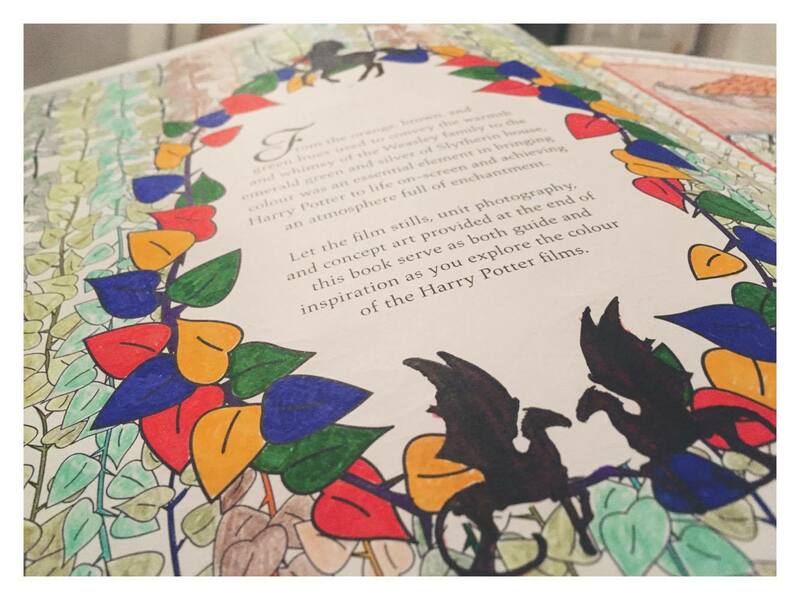 Hope grew so much throughout the book too, which made the book even more enjoyable as it felt so real. I have written a full review on my blog so check it out HERE if you want to read more. This is by far my favourite book of the series so far, I enjoyed it throughly and I loved that this is the book I finished at the end of 2015. The story is great and I can't believe how many little details there are in the books that are not in the films, it feels almost like I'm reading a whole new story and I love that. 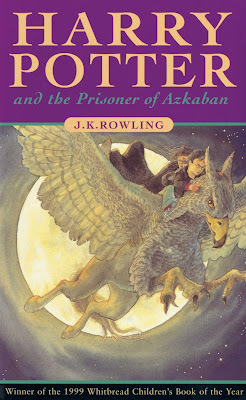 Professor Lupin is definitely a favourite character of mine and I love how you learn more about him and his backstory as well as learning more about Harry's dad and Sirius. I can't wait to continue on with the story!